Jul. 7, 2015. (cont'd. 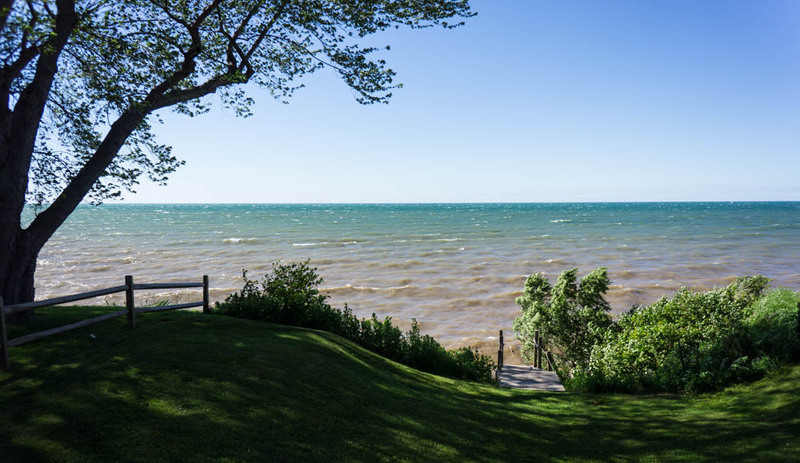 from 6.21.15) The entry on June 17 (Part 2) was supposed to be a cliffhanger and today's entry was supposed to be the big reveal on June 23, when we took possession of, yes, our log cabin with 50 feet of frontage on Lake Ontario. The bold move taken. The place with the "great view" achieved. But I was too busy for a chatty post on June 23... so a photo on Facebook had to do the trick. "We have arrived. Our new backyard. Lake Ontario." Cue applause. How did it happen? As we drove back from Virginia, the idea of a "view" wouldn't let me go. I texted my friend Deb, who had purchased her own view: did she have a real estate agent? "Call me" was her instant response. It was a Friday afternoon. I called. We talked. Deb got me immediately linked up to her realtor and we made a date for Tuesday. 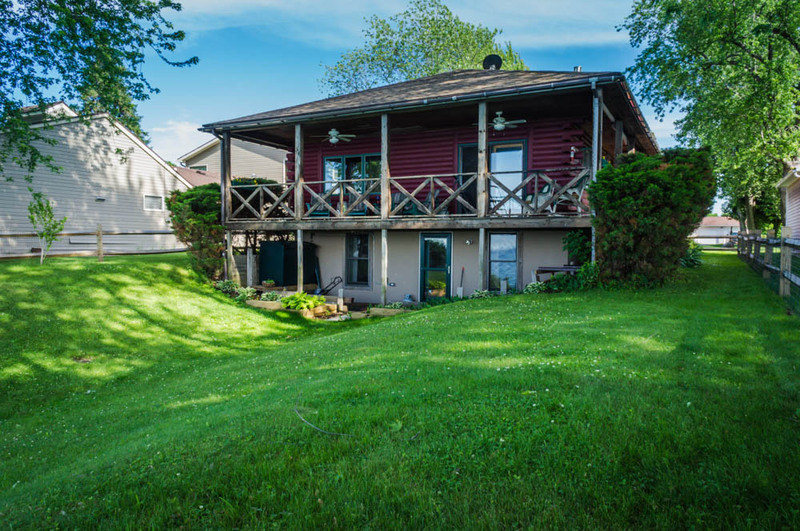 Sondra had a handful of properties to show us, but, as fate would have it, we fell in love with the first one and by the end of the day on Tuesday, May 12, we had submitted a purchase offer. A door had opened and we flung ourselves through it. Propelled by a fierce energy and the knowledge that something had to change, we suddenly expanded our footprint on the planet by a third of an acre. During that magic week till the purchase contract was signed, I wore my grandfather's Knights of Columbus ring. Tom Barrett was bold: he bought property, he was an entrepreneur. I asked him to be my spirit guide. 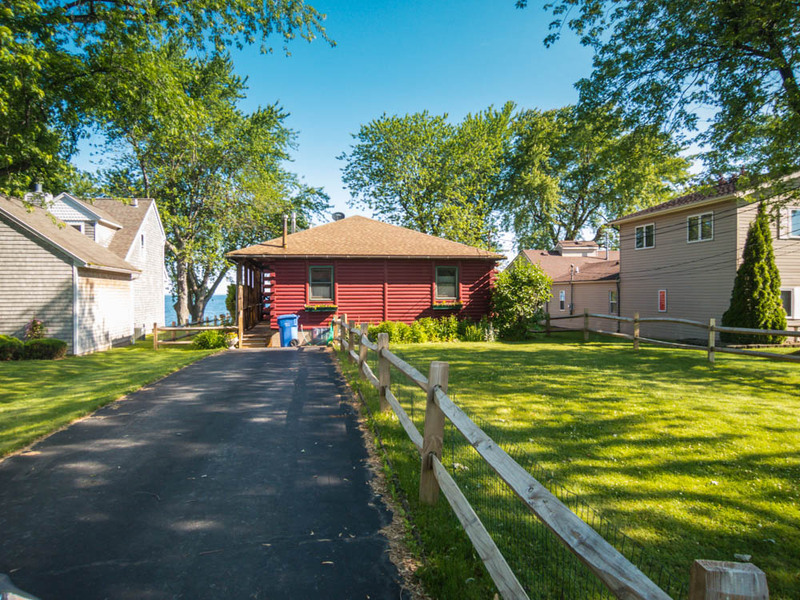 Here is our "lodge," from the street, which in lake culture is now our "backyard." Here is the lake side, which we now understand to be our face on the watery world. 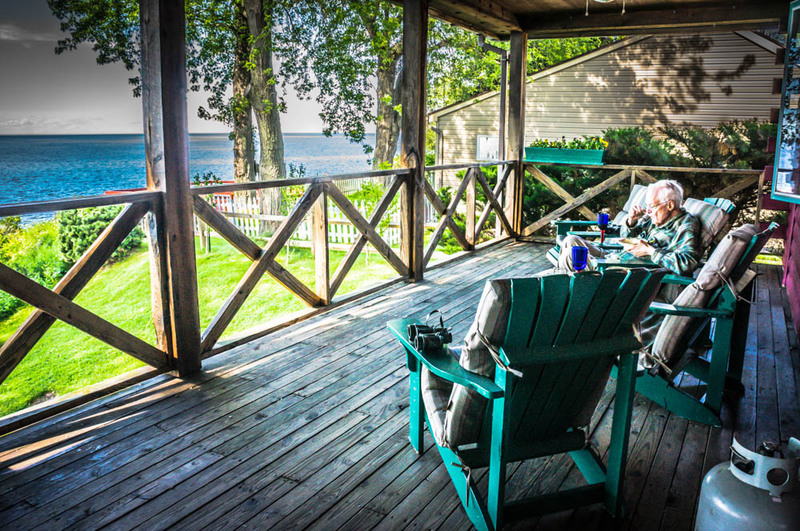 That upper porch, with its Adirondack chairs and ceiling fans is the summer living room--though the temperatures here can be chilly. A season is about 13 weeks. The winter in Rochester had been arctic and used up all our mental reserves. I knew that spring needed to be a time of replenishment and renewal. It started with a wonderful celebration of my mother's 90th birthday, but then dissolved into lingering chest colds and health worries. We tried our usual remedy--travel--but it was blah. Four weeks into spring, we needed to turn it around. At the beginning of this season, I was restless but self-satisfied. Satisfied with my gray hair, with my convenient condo life, with car-ride vacations, with living small. I had pretty much figured everything out. But the comfort zone never lasts. Or if it does, it turns into a cage. So, fierce energy boiling inside me, I opened the cage door. 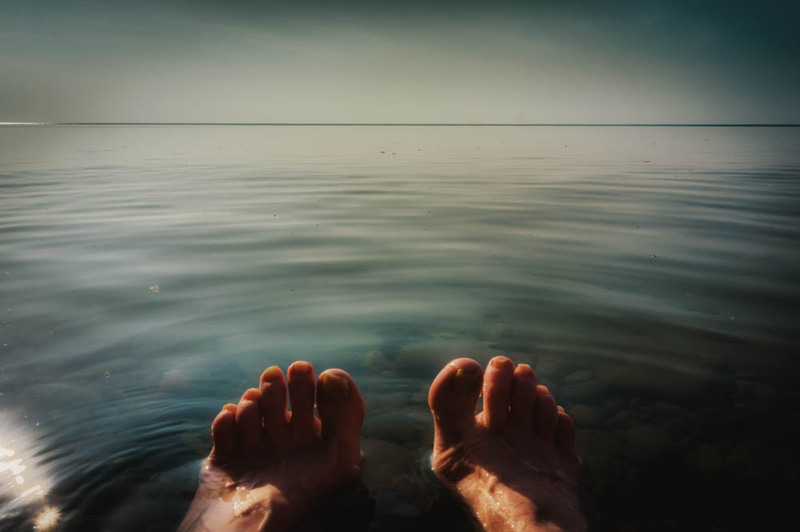 Hand in hand, Jim and I walked out of our sweet cage and into a "transition zone," where earth meets water, gazing at the distance where water meets sky. Where gray roots meet bleach blond. Now, a mild discomfort and certain inconveniences will keep our energies fueled as we learn a new environment.